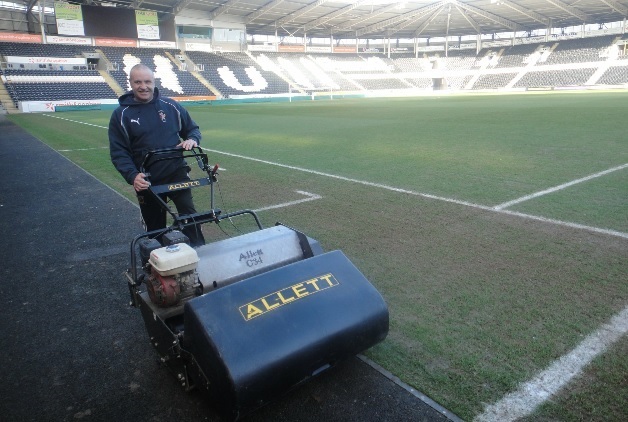 We are Darrell Cook and Mark Harrison, the two KCOM Stadium groundsmen sacked in April. Mark had been with Hull City since 1988 and Darrell with Hull FC since 1991. We are the KCOM stadium groundsmen. We have 55 years unblemished service between us. Despite total dedication (and a good few awards) during this period we were sacked in April for gross misconduct for what we believe to be quite ridiculous and extremely hurtful allegations. With the support and backing of our friends, families and legal advisors we are determined to fight for justice. We don't want the inevitable attention this may bring but we had no other option if we were to fight for the jobs we love and to clear our names. This is not just for us but for our wives, parents and children. We're proud men who have always taken immense pride in our work. We wouldn't normally be able to afford a legal challenge like this against such formidable opposition. There is no access to legal aid and we didn’t earn big salaries so we hope the people at SMC understand why we had no choice but to take this route. We look forward to the day we can hold our heads high again and get back to work providing both Hull City and Hull FC with a playing surface both clubs and their fans can be proud of. Mark Harrison - Hull City has been my life. 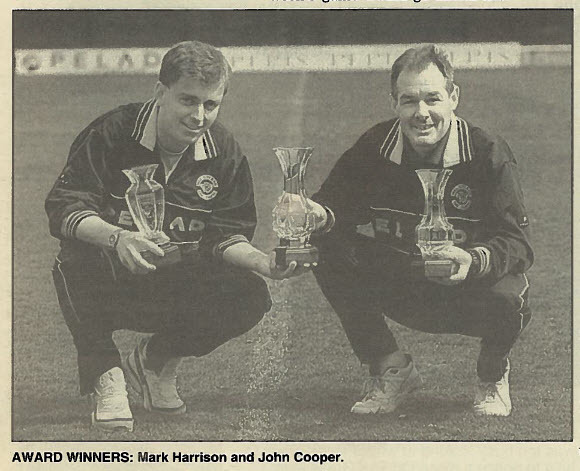 I started working as an assistant groundsman in 1988 when I was 16 working under John Cooper. There was no one better to learn under because everybody in football knew what a fantastic playing surface it was at Boothferry Park. The pitch was like a snooker table and it rightly won awards. I think I earned £15 a week on the old YTS Scheme when I started but I loved it and that pitch meant everything to us. Older fans will remember the dark days back in May 2000 when we were locked out of the ground. We went three months without pay and had to live off credit cards but even then John and I used to sneak into the ground to look after the pitch - it was a real labour of love. Despite all of the troubles, at the end of the following season we won best pitch in the division again! When we left Boothferry Park my employment transferred from Hull City to Superstadium Management Company (SMC). SMC is owned by whoever owns the football club so these days it is owned by the Allam family. Darrell Cook - I started at The Boulevard in 1991 which was back in the days of Lee Jackson, Greg Mackey and the like. Like Mark I have seen good times and bad times. I have also, like Mark, carried on working without being paid - that was in the Hull Sharks days. As well as being a groundsman I have also always worked as a part-time kit man for Hull FC. I'm black and white through and through as is my wife and we support the club home and away. When we left the Boulevard my groundsman's job transferred to SMC and it was my main job Monday to Friday 9-to-5. I carried on doing occasional work for Hull FC as their third kit man in addition to that. What were we sacked for ? Despite both of us never having had any sort of disciplinary or warning we were both sacked for gross misconduct, Darrell on 18 April and Mark on 19 April. Partly we were sacked because of the alleged state of the pitch. SMC Management had commissioned an independent report from a company called PSD Agronomy. They turned up on Monday 13 March which was the Monday after a 'double header' as we call it - there had been rugby on Friday night and football on the Saturday afternoon. This was something the independent report advised the company against stating that where they had worked with other combined football/rugby stadia it was accepted that a five day period between fixtures should be agreed. The report does not in fact criticise us - it says what we had been saying to SMC for years which was that SMC needed more people to repair the divots. This was ignored. Worse still for some reason they never had fixtures rearranged to give the pitch time to recover as happens at Wigan, Huddersfield, Swansea and other grounds with dual use. Then they allowed other games to be played which weren't necessary. Squash courts were put on the pitch which affected the grass. They even played polo on it! Having said all that, despite all the challenges, the pitch was probably in as good a state of repair this season as it had been for a long time. Another reason for sacking Mark was that too much grass treatment product had supposedly been ordered. Mark explained at the disciplinary what the product was, what it was used for and why it had been needed in those quantities. All orders were on the basis of the monthly independent soil analysis anyway. No notice was taken of this and we think it is doubtful that they actually understood what Mark was telling them. In any case every order was signed off by the club's management, the very people who were now disciplining Mark. Darrell was also sacked for working for Hull FC whilst he was supposed to be working for SMC. Stills from CCTV were produced but the date and time clearly show that at the relevant time he wasn't actually even at work for SMC. The fact that Mark (as his superior) had supposedly let this happen (even though it hadn't happened) was used as another reason to dismiss Mark. Mark was also sacked because of the divotors. The same family had been doing the job since Boothferry Park days. Sometimes five would turn up, sometimes four. All they got in return was a match ticket. Hull City gave Mark five tickets each time and he gave one to each divotor who turned up. If only four turned up the fifth ticket was destroyed. It would have been an easy enough matter for the club to know which tickets had been used and which had not - because they are scanned - but they refused to make checks. Mark was sacked because he did not know for sure how many had turned up each time. As most people know the divotors themselves were unceremoniously sacked not long after. If you're losing track of all the things we were sacked for don't worry, so were we! Between us we had something like 55 years unblemished service without ever having been warned, disciplined or anything. Suddenly they seemingly made up anything they could think of to get rid of us for whatever reason. We say all of these allegations were ridiculous and none of them stand up to scrutiny. It would be laughable if it was not so serious and so upsetting. We both kept making the same points at our disciplinary hearings with Kevin Hickson, Facilities Manager, and at our appeal hearings with Ehab Allam. On every point they could quite easily have gone away and investigated it properly and looked into what we were telling them but they had no interest in doing so. Incidentally the appeal hearing was the first time Ehab had ever spoken to either of us - this is despite us working for him for six and a half years. We want to take SMC to an Employment Tribunal or a fair hearing on the basis that we believe we have been unfairly dismissed. Our sackings have affected ourselves, our wives and our families very badly. We loved our jobs and were very proud of the work we did. We loved being at the heart of the clubs we support. We have been robbed of that. Worse still our sackings have been very public. Everybody knows we were got rid of but nobody knows why. The truth is even now we're not sure why. People can start to question our integrity. We want the chance to challenge SMC in a public Tribunal. We want Kevin Hickson and Ehab Allam, and Karen Clark the HR Manager to account for themselves and what they have done to us. We need to raise money to be able to afford to get representation for the Employment Tribunal. The SMC backed by the Allam family have millions of pounds to spend on solicitors and barristers. We cannot take them on on our own and we probably wouldn't have done. There is no legal aid these days and really no help for people like us. We didn't earn big salaries in our jobs and we both have families. But then we heard about crowdfunding and thought that maybe it gave us a chance. We want to go into battle with a legal team that is as good as theirs if not better. Gosschalks were recommended to us and they have been brilliant so far, confirming what we believed about how we have been treated, explaining the claims we can make and giving us the confidence we needed. They have been very supportive and have spent lots of time with us without asking for anything. We now want to formally instruct them to represent us. We need money for that and we also have to pay Employment Tribunal fees. It is going to cost us a £500 fee just to begin the case and then a £950 fee for a hearing. The whole thing is likely to take about six months and there is a lot of work to do during that time. The Tribunal process requires properly pleaded papers, bundles of documents, witness statements etc as well as quite a bit of other legal work. We also need to instruct a barrister. On top of the legal costs there is VAT and the CrowdJustice website and its payment processor, Stripe, take about 8% combined - which is fine. We have set an initial target of £5000 which will pay the fee to start the claim and for our legal team to get everything ready to lodge the case. We will then be up and running. We have set a stretch target of £20,000 because realistically, and if the other side drag things out, that is what it could cost to have the best representation. We know that a sum of money like that will be small change for the people we are fighting against. To them we are probably nothing, history by now. The fact that we gave so much service to Hull City and Hull FC means nothing. The fact that we have lost our livelihoods in such a publicly embarrassing way appears to mean nothing to them either. We want to hold them to account through the proper process where an Employment Tribunal Judge looks at everything fully and fairly. We want to clear our names. We actually want to get our jobs back and a Tribunal can order that. We were proud to be involved with Hull City and Hull FC - we just want to get back to work and continue that association for many years to come. Just read the defence document in Hull Mail which spurred me to donate what I could - never a sacking in a million years! Good luck lads - you deserve a shot at this. We’ve been a bit quiet this last month or so whilst we have been working with our legal team and dealing with more paperwork than we’ve ever seen before. However, we are now two months away from the hearing and the reality of our situation is beginning to hit home. We set a crowdfunding target of £20,000 to enable us to fight for justice and stand up to the people who put us in this awful position and to create a level playing field when we meet them in court – we have so far raised £6170 of that target. Without Crowdfunding we have no chance and would simply have to roll over and accept what they’ve done to us. We have now got to the point where we have seen their Defence and all the documents and we are now even more encouraged about our case, as are our legal team. All we want is for the Employment Tribunal to restore our reputations by telling the world that we were unfairly dismissed and that we did not deserve what is happening to us. We hit our initial target of £5k in just 44 hours and were overwhelmed by the support. It is the way of these crowdfunding sites that the stretch target is then introduced which aims at the actual sum we need (£20k). We got a bit carried away at our initial fundraising success and felt as if we’d made it. The reality is, we’ve a long way to go and we need the best barrister in the business to compete with theirs and we don’t want them looking at our fundraising total and thinking we cannot compete! If we are to stand a chance against our formidable opponents in this case we need your support now more than ever – failure is no longer an option for us, our families and our supporters. We now have no option but to swallow our already dented pride and ask anyone who supports our case to do everything within their power to help us gain further publicity as we aim to reach our £20k target. Put simply, we need more donations and we need to spread the word to achieve that. So far the support has come in from far and wide, from Jeremy Corbyn to former players of Hull City and Hull FC and from Groundsmen representing clubs from all over the country. Please, please, please help us to spread the word and encourage all who can donate to our cause to do so. We’ve been unfairly dismissed with immediate effect from our positions as senior groundsmen with 55 years’ combined service with an exemplary record during which we won awards and at times of financial trouble for both clubs we have worked without pay. We gave blood, sweat and tears to forge a reputation as one of the most experienced and longest serving stadium ground staff teams in the country. We need your help and support to prove that justice can prevail if you are prepared to stand up for what is right. We have been asked many times why we think we were sacked and we’ve asked ourselves the same thing many times too! The only rational explanation we can come up with is that it was to save money. The stadium and pitch is owned by the council and the SMC owners have already stated that they wouldn’t spend money on an asset they don’t own (i.e. is rented) when referring to a stadium expansion. If that is the case, and we are only surmising, we should have been made redundant but our length of service would have made that an expensive option. I don’t think they expected we could fight the sacking but we are doing because it is worth fighting for and with your help we can get justice. Thanks you for reading and also for your kind support – it is very much appreciated at this time. If you could share a link to this page via your social media accounts we would be very grateful indeed! Hearing dates confirmed . . and Jeremy Corbyn supports us ! We have a couple of developments to update you on. We now know that the Employment Tribunal will hear our unfair dismissal cases over three days at the end of October - Wednesday 25th to Friday 27th October. The case will be heard in Hull. In terms of the Tribunal process the next event is at the end of July when SMC have to lodge their Response (effectively their Defence). We ourselves also have to prepare what are known as Schedules of Loss by then. Those are documents that explain what we are asking for from the Tribunal process. In a separate, and frankly absolutely incredible, development we received public support last night from Jeremy Corbyn when he tweeted about our case. We did not know this was going to happen! As you can imagine everybody's been talking about it today. The idea that 1.3 million people potentially heard about our case (that is how many Twitter followers he has) is mind blowing. In any case the crowdfunding carries on. We now know that we have just under four months to try and get to our stretch target. We know you have supported us in the past and we are incredibly grateful for that. If you could tell your family, friends and connections about our case today that would be brilliant. Posts on Facebook, tweets, emails or anything else that includes a link to our CrowdJustice case page really makes a difference. We have now issued the Employment Tribunal proceedings for unfair dismissal against Stadium Management Company. A lot of hard work has gone in over the last few weeks with our legal team and now we are in the legal process. More updates to follow soon as we find out when the Tribunal hearing is going to be but for now many many thanks to all our backers and supporters. We literally could not have done it without you so on behalf of ourselves and our families - thank you.